As I got off the subway in central Harlem it struck me how unpopulated the station was. It occurred to me that at nine in the morning many people would be going to work or commuting for other purposes, however that wasn’t the Harlem I visited. The Harlem I visited greeted me with poverty and homeless individuals desperately seeking help and opportunity to improve their health and living circumstances. 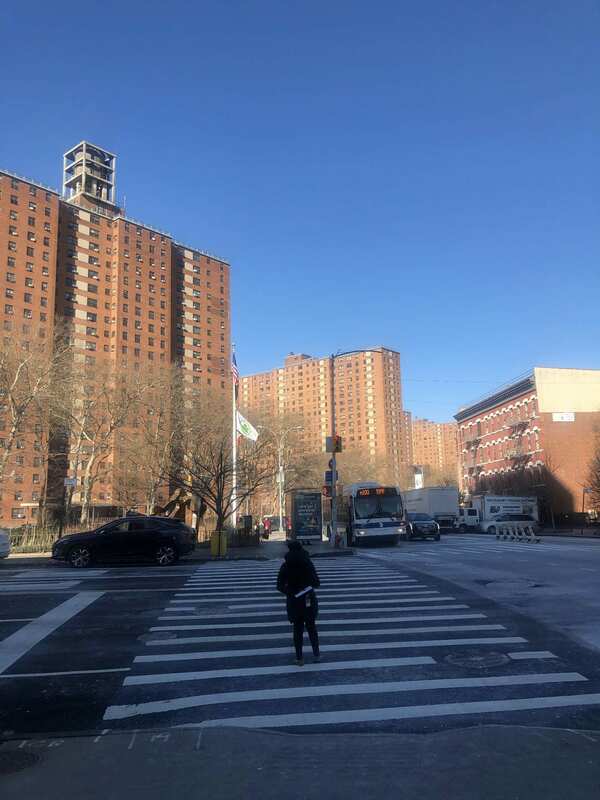 This first impression of Harlem was sustained because as I walked around the blocks signs of poverty and hopelessness kept showing up and I couldn’t ignore it. Regardless of the lack of funds many may have in that area, Harlem keeps buildings and increasing infrastructures that aren’t affordable for the locals and it is this manner that I chose to investigate in order to truly understand the circumstances of those who live there. Initially I started by analyzing the census data of the area regarding overall poverty rates across different ages. I learned that across all ages Harlem is in fact one of the great contributors to increase of poverty rates of New York as a whole which means that without such location the poverty rates of the city would considerably decrease. Furthermore I noticed that poverty rates in central Harlem are even higher for those who remain of age older than sixty-five. This detail comes to show that there isn’t much being done to financially support those who can’t as actively seek out and reach out for opportunity as the rest of society. Secondly, I followed up on employment rates and health care facilities to understand how accessible such resources are and how they present themselves to those who live in Central Harlem. I come to realize that those two factors were indeed quite related to one another, employed individuals compare to those who aren’t in labor force or unemployed, were much more likely to have access to healthcare and more precisely private healthcare. Private health care puts emphasis on allowing for people to choose their preferred physicians, surgeons and even get ahead of the list in their desired appointments. The other two categories mostly had to rely on public health care services that didn’t always meet their needs or would still request expensive funds in order to receive further examination all in all adding debt to those who can’t pay it back. More surprisingly, I recognized that those who are not in labor force making them unable to present themselves on the market had considerably higher rates in absence of any sort of health care. In closing, the collection of all these factors taken into observation may lead anyone to question the good will of our societies but regardless of the negative impact of economic injustice in Harlem some may say there’s more positives to recognize. For instance, I contemplated quite a lot of art and mostly signs of genuine passion and talent across the streets and in between buildings. There’s diversity in the community, expression of brilliance and will to share experiences, messages and meaning amongst one another. Perhaps this leads me to the questions I asked myself as I worked on my poster, I wondered why everyone noticed the artistic potential of the inhabitants of Harlem and yet no one ever provided a market in that sector to allow such fields to grow as opportunities.